Though directors Dayna Goldfine and Dan Gellar have assembled yet another PBS-ready, Ken Burns-style documentary full of talking heads, clips and photos, these talking heads, clips and photos are all so warm and dynamic that they make for quite a watchable film. The filmmakers interview many surviving members of the famous ballet troupe and make a convincing case for their innovations during the 1930s and 1940s. 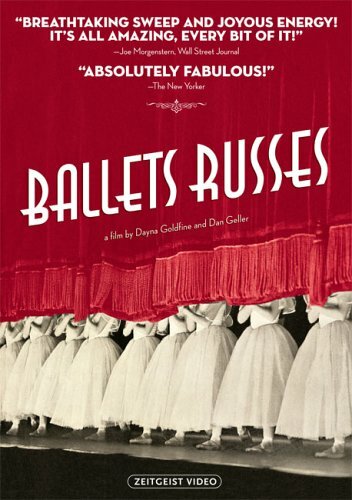 However, the film assumes that the viewer knows something about ballet, and my knowledge starts and stops with Powell and Pressburger's film The Red Shoes (1948). DVD Details: Zeitgeist's DVD comes with lots and lots of extras, including more clips and photos. The DVD box advertises an "Easter Egg," but I was unable to find it.